Are you seeking a space of retreat to hear the whispers of your soul and the calling of your life? Nestled in a picturesque valley of 80 acres lies our beautiful retreat ranch and home to a herd of 19 masterful horse teachers. 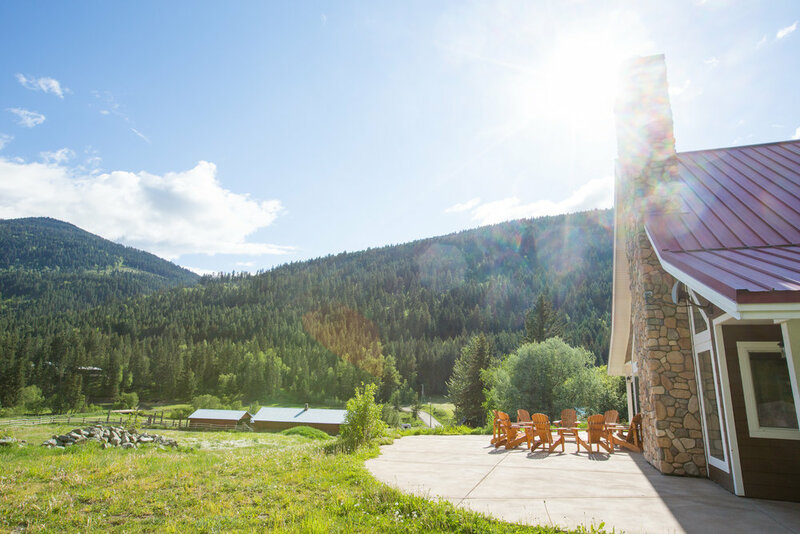 Our custom and private retreat experiences take place on our ranch in a stunning valley that gives inspiring views and a rejuvenating backdrop to a powerful and transformative retreat. There comes times in our journey where we require a space to retreat. To listen, to hear, and receive guidance on what is next in our path. Where healing, transformation and wisdom can find their way to us so we can feel more confident and clear on what life is and our soul is leading us. 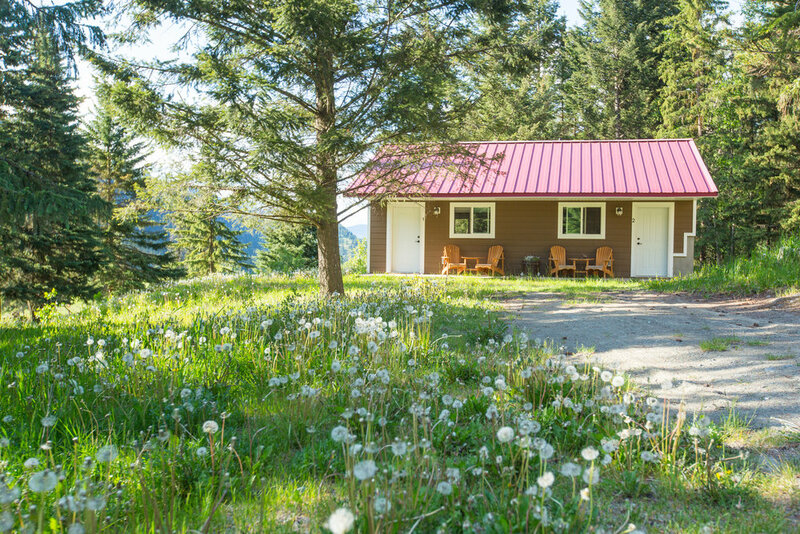 Our private retreats are created with your process in mind, where your intention whether you are conscious of it or not can come to life and reach the deep recesses of your body, heart and mind. It is a powerful experience that will leave you awakened, transformed and clear on what's next for your purpose, your life and your own growth as a human being. Or a soul seeker looking for a space of solitude and respite, where clarity of purpose can find you. Our private and custom retreat experiences will cater to you. I recently had the pleasure of enjoying a three day 1-1 retreat with Hillary Schneider at her ranch as the beginning of our 6-month coaching program. I can’t say enough wonderful things about the experience and Hillary. The ranch is nestled in a breathtakingly beautiful valley. I had long been desiring some space and time to rework my business model and long-term vision. It took no time at all for me to get that space due to the surroundings and my accommodations, the lodge and the ridiculously good food. I had nothing to worry about during my time there except what I wanted to accomplish. My list of desired outcomes included understanding (and owning) my leadership style, mapping out a business plan that is in sync with the rest of my life–a holistic approach. To me, that was A LOT to accomplish in three days. We started day one with an amazing breakfast and some time outside both of which helped with focus. Right away, Hillary was able to sort out all of my desired outcomes and formulated a process to make it happen. I never felt like this was a cookie cutter process–we co-created an agenda that would get me exactly what I needed. She also checked in to see how I was doing energy-wise as we went along which was much appreciated since we were deep into strategic planning which can be tiring. I’ve worked with several coaches over the past few years and I’ve gained insights for my business, but I felt like Hillary really got what I do, how I show up and what I want. She was able to help me uncover my strengths, natural style and the path to success on my terms. This is rare. She really is a unicorn. One of the reasons I chose to work with Hillary was for the work with the horses. As a lifelong equestrian, I know the power of these animals, their sensitive nature and the connection they have with humans. This was an entirely new facet, though. It was fascinating to see how the horses can help you see the lens through which you view the world and offer a different perspective in a non-threatening way. Hillary’s observations and powerful questions facilitated some big ahas. I discovered that I have several beliefs about myself that needed some adjustment. 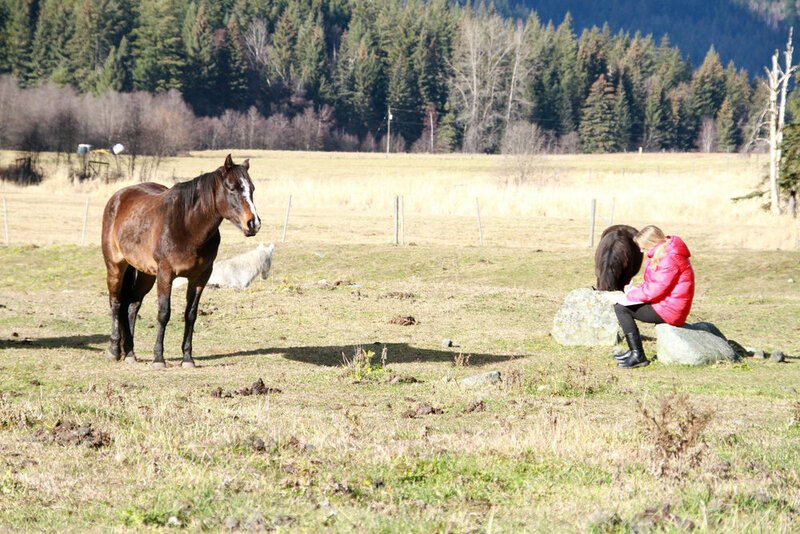 Because the learning was experiential with the horses, I feel like those lessons have really stuck. I learned about connection and leadership and have taken those lessons home and I use them daily. I can’t remember another time that learning has resulted in an ongoing shift and continued learning. Again, Hillary was able to take what happened in the sessions with the horses and apply that to the coaching and planning work away from the horses. Everything felt custom-tailored to me and it felt like I was finally able to pull together ideas, concepts and offerings that I’d been struggling to connect for years. It felt aligned to me, rather than following someone’s step by step program. Hillary also shared her entrepreneurial journey which was helpful for me. I learn by hearing about other’s experiences. Her transparency and generosity are much appreciated. I’ve been a coach for number of years and despite over 400 hours of coach training and leadership skills, I was still struggling to understand what my form of leadership really is. I was very clear when I contacted Hillary that this piece would make the biggest difference in my life and it is what I want to work with her and her horses on. I arranged to spend some time with Hillary at her gorgeous ranch. We had 5 different sessions together and my life has completed changed because of those sessions. Let me give you an example. 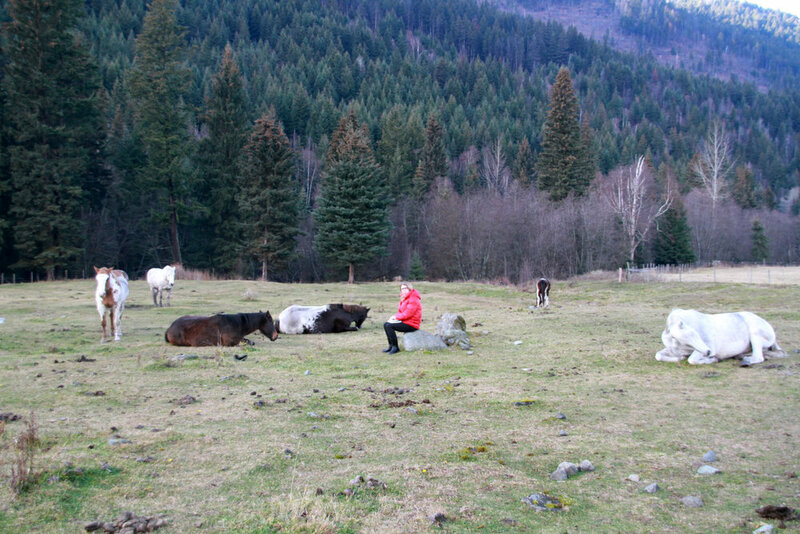 When we arrived in the pasture the horses were all grazing peacefully, they could care less that we had arrived, which is significant because the energy that we brought into the field didn’t disrupt them. So we sat some distance away and started talking about what I am passionate about. I had my journal in my lap, resting on my crossed legs as Hillary sat just slightly behind me. I began talk about how I cannot tolerate women spending their lives playing out the effects of some difficult experience that was long over. All of a sudden, one horse lifted his head and walked straight up to me stopping only inches from my legs. This put his head directly over mine. We continued talking. While we were talking the horse starting flicking my journal with his nose as if to say “Are you getting this?” I didn’t immediate start writing anything. All of a sudden the horse ‘clonked’ me on the head. “Okay, okay, I get it, so I started writing down what we had been talking about. As soon as I was done as I asked Hillary “so what’s with this horse?” She replied, “this is Shiva, named after the Hindu God known to be the destroyer of false beliefs.” Wow. There are no coincidences. As soon as I got it, he simply turned and walked away. His job was done. The gift to me was that the uncertainty around what I speak about and how to make it real in my work completely vanished. Shiva had just given me undeniable proof that I was on the right track. This is what I am meant to do. There were many other circumstances with the horses that reinforced the inquiry that I came with, which all solidified that I have to stop talking and get doing, if things were going to change. On returning home I founded The Ellis Institute (www.ellisinstitute.com), begin a daily yoga practice, finished writing my first book which is going live on Amazon on the 14th of August 2017, launched my podcast “Clarity Quest” on iTunes and my Youtube channel. In addition, I’ve launched my 12 week companion program to my book which is filling now for a start in September. Pre and post welcome packet to deepen and integrate your experience that you will have with the herd and I. Our private and custom retreats are created on an individual basis. If you would like to speak to us about creating a retreat experience for you please out the form below. We look forward to journeying with you and the horses!